We wouldn't be where we are today without loyal beer drinkers like you! 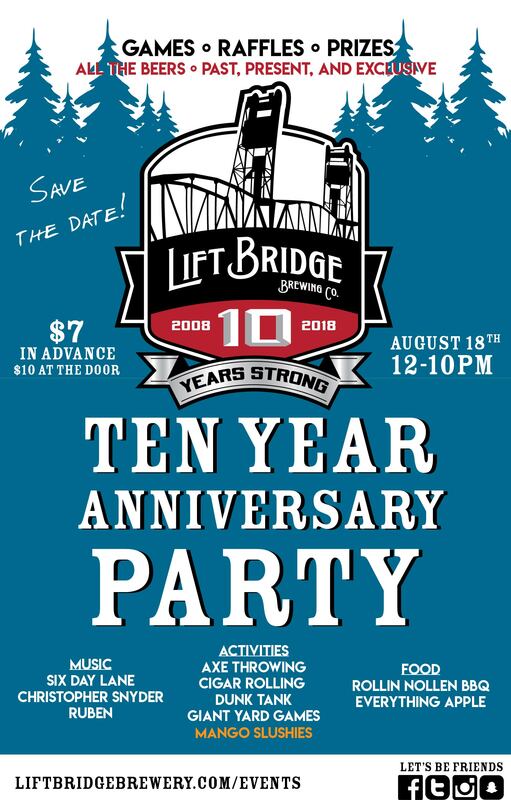 In honor of our tenth year in business, we’re going all out on August 18th for the Lift Bridge Brewery Ten Year Anniversary Bash. We want this event to celebrate all of the love and support that Minnesota has given Lift Bridge throughout the years.